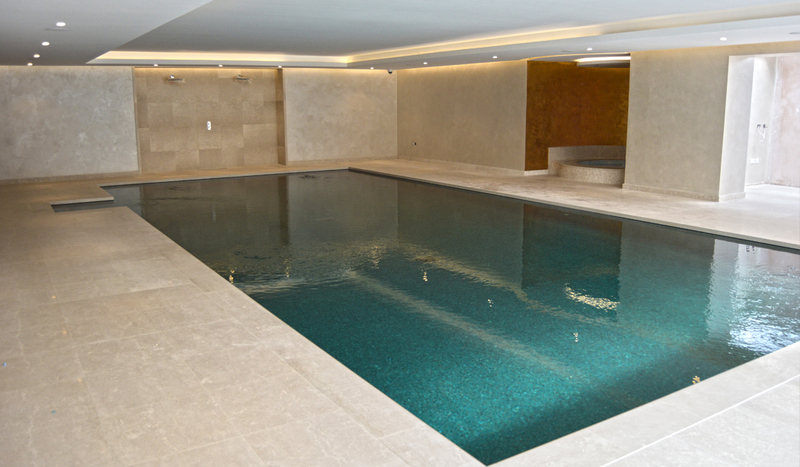 Swimming Pool Design London were delighted to complete this luxurious swimming pool and wellness area within the Wentworth Estate, Virginia Water. 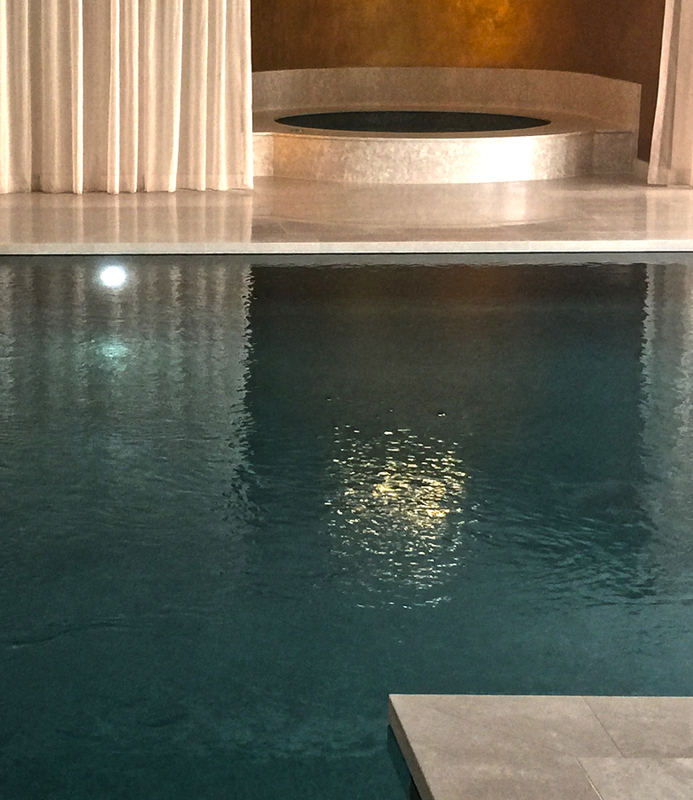 Swimming Pool Design were responsible for the design, supply install and commissioning of the swimming pool and jacuzzi with associated plant and environmental control system. 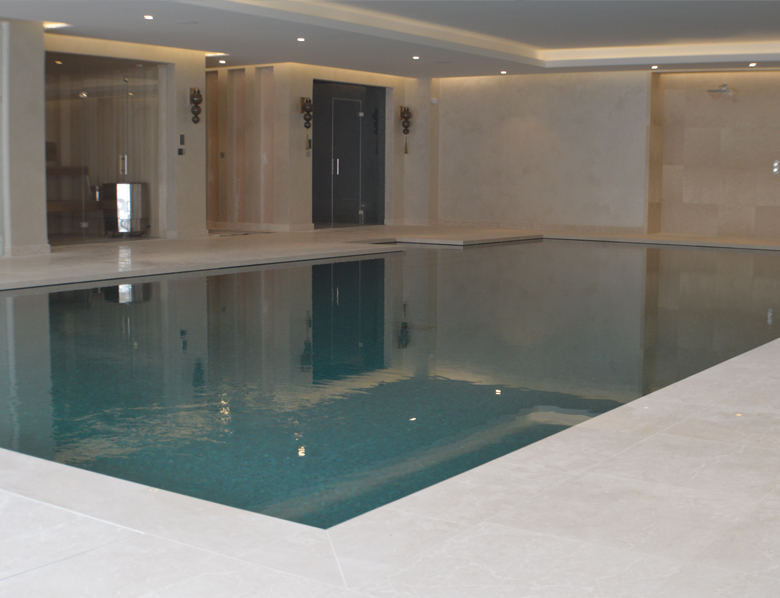 The swimming pool boasts a surface area of 13 metres x 6 metres with our signature infinity edge system providing our client with a seamless water level finish. The engineering behind the aesthetics is what produces the breathtaking rippling effect to the surface of the water. The Jacuzzi features a series of stainless steel high powered hydrotherapy jets for the ultimate in luxurious relaxation. 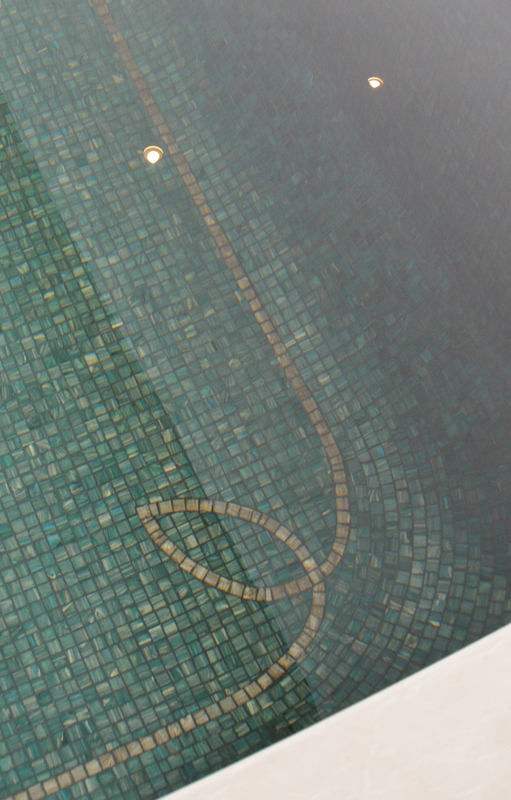 Both Swimming Pool and Jacuzzi were finished internally in a gold fleck / green mosaic with stone coping. 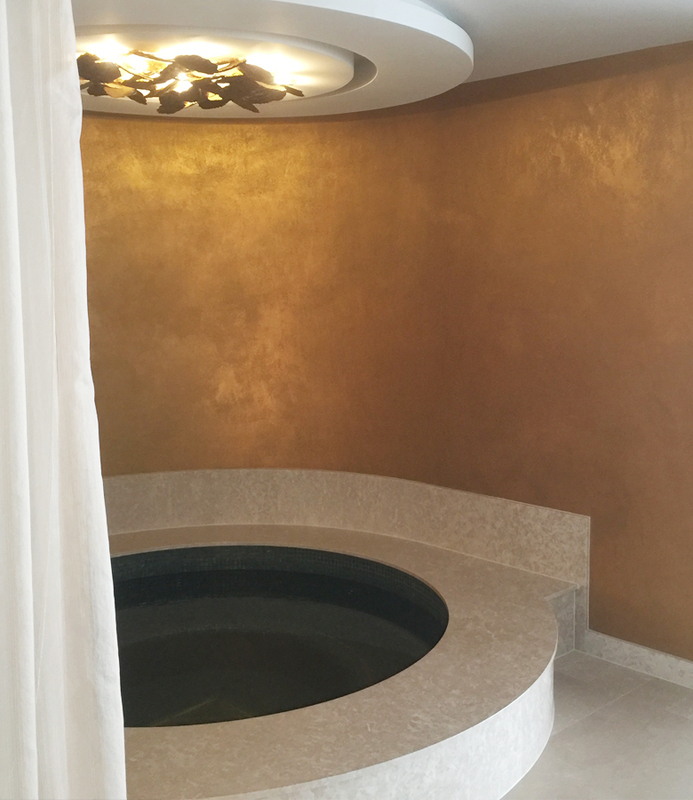 The steam room was tiled within the same finish and features a stunning raised domed ceiling with fibre optic lighting.